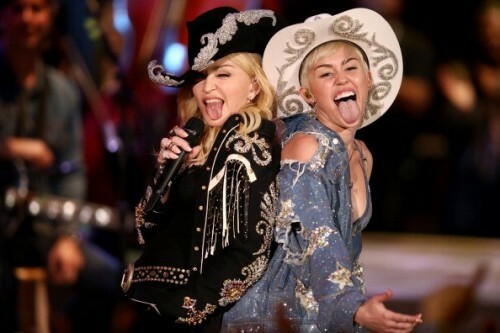 Miley Cyrus: Performing with Madonna is pretty f*cking cool! 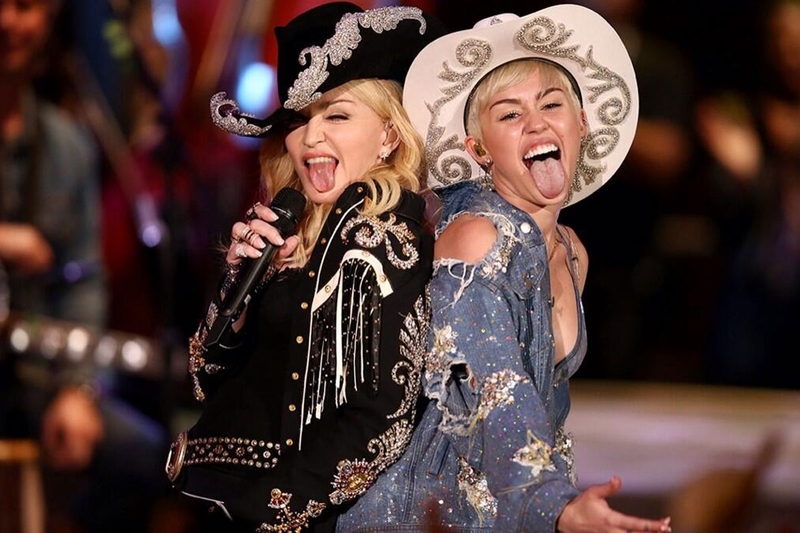 Last night, Madonna and Miley Cyrus performed a mash-up of “Don’t Tell me” and “We Can’t Stop” during the taping of “Miley Cyrus: MTV Unplugged” which will premiere on January 29, 2014 on MTV at 9/8 PM. 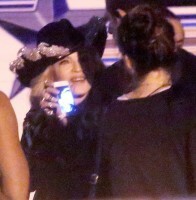 According to E! Online, there was a fair amount of bumpin’ and grinding between the two, with Miley even playfully slapping Madonna’s bum a few times during the two takes.